The inevitable has finally happened. After months of a tiring wait, Indonesian fans can finally heave a sigh of relief as Bajaj-Kawasaki rolled out the Pulsar 200 NS officially in Jakarta on June 7. But we bet there will be a few faces going green with jealousy, here on the other side of the seas!! The Indonesian version is pretty much same from the technical point of view. 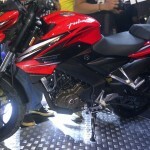 It was rumored around in Indonesia that the Pulsar 200 NS might come equipped with an Electronic Fuel Injection system. 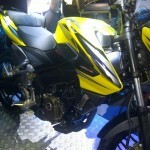 However, those speculations have been put to rest with a carburetor being used on the Pulsar 200 NS. But things get snazzier from the visual attraction point-of-view!! With newer decals on all the base colors, the Indonesian iteration of Pulsar 200 NS is a lot more eye-catchy than our Indian offering. There will be a lot of tell-tale signs of the Kawasaki influence on the Indonesian Pulsar 200 NS, in the form of a few stickers plonked here and there. Interestingly, the Ninja-Green splattered version was nowhere to be seen during the launch, but it will be there! 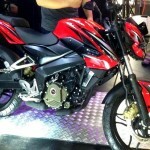 Could Bajaj be planning a mid-life facelift of the Indian version soon, with all those cooler decals? 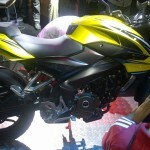 We had even spotted a Pulsar 200 NS on test on the Pune streets. There might be a probability, however slight it may be, that the mid-life upgrade, if done, might house a few technical tweaks as well. 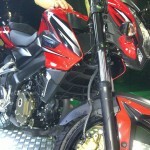 The Pulsar 200 NS will retail for around 23.5 million Indonesian rupaiah, which translates to about 1.36 Lakhs INR. 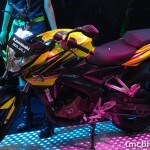 The costlier sticker price is due to the import procedure used for the bike. 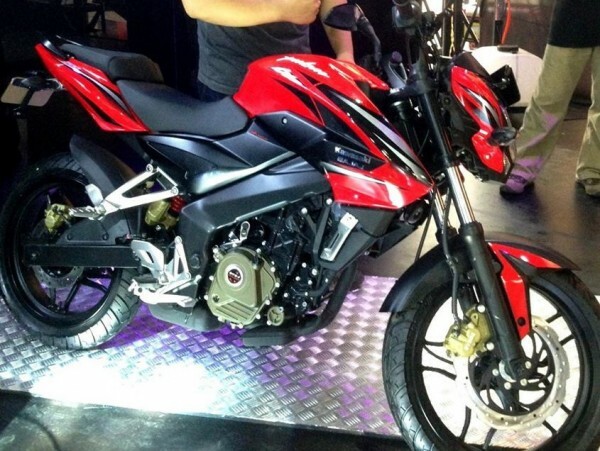 In a market where step-thrus and smaller-looking-and-nimbler motorcycles run riot, the beefier looks of the Pulsar 200 NS could be a hefty premium for the Indonesian purchasers. 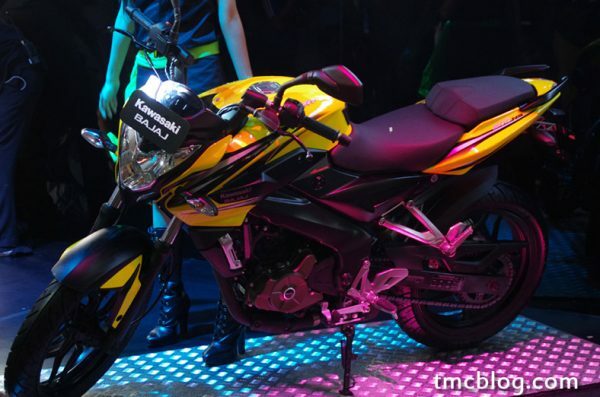 It will be interesting to see how the tussle between the Yamaha V-Ixion Lightning and the Pulsar 200 NS pans out!